Confused while choosing the cloud hosting provider for your business? May it be a startup company or a medium-sized company, cloud computing has acquired all of them by offering you the reliability, freedom, power, and scalability. With a limited budget and limited resources, it helps you to grow up as a well-expanded organization with higher productivity. Other attractive points of cloud hosting solutions include its enhanced security, limited cost framework, and easy manageability. No doubt a company gains benefits from deploying a cloud computing service but it's not that easy to choose the right one. Only making a handful amount of investment won't work here. Choosing the perfect vendor would require time, analysis, research, and other important grounds, and most importantly- a well-planned structure including your company’s goals and requirements. 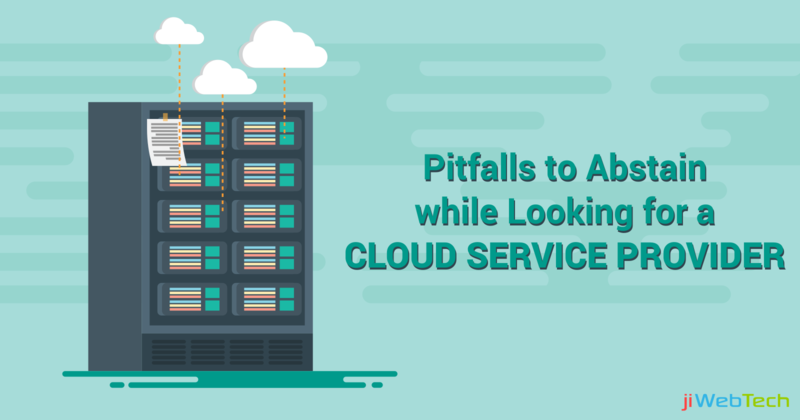 So, its no more the confusion that whether to opt for a cloud computing service or not. But the confusion is how will you identify the right one which fulfils all your defined parameters. Here are a few points which we should definitely take care of while looking for a vendor, otherwise it would turn out worse. Be careful and focus on the below highlights. Availability: The first step is to make sure that you need a reserved, on-demand or metered instances based on the availability of your company demands like 24/7 or less. Obviously, when you require limited hours of service, investing in a 24/7 service will be a waste of money. So, plan accordingly. Reliability and cost offerings: Think twice that can you freely rely on your vendor services? Can that server control robust bandwidth in uptime? Ensure that is it capable enough to work smoothly in case of high traffic or not. Moreover, make sure that the investment you are planning to make is worthy enough? Higher costs don’t always offer you quality services. Maybe a cheaper one offers you more superior ones. Reputation: Once you are satisfied with the services you are offered, make a deep background research of the vendor about how many years have they been dealing in it, go through the customer reviews and feedbacks. Check their previous works and clients they deal with. Just because opting for a new vendor can cost you adversely. Customer support and services: Don't go for a vendor whose just running after more and more customers and is unavailable when you need assistance. Look for a vendor who offers you 24/7 support either by any means so that in case of a crash or any query you can get immediate support. These are just the basic ones you must consider before stepping in the market. There are many other minor aspects to consider like transparency, easy user interface, scalability, and many more. Adopting these few highlights would surely end up in reaching a perfect vendor for your company. Don’t hurry, take your time, get a proper planning, once determined, go for it!